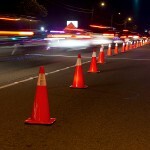 If you’re charged with DUI in Orange County, immediately contact an experienced Orange County DUI lawyer. It doesn’t matter if it’s your first offense in California or if you’ve been through the system a dozen times – you should fight the charge and try to avoid a conviction. However, if you’re a “chronic” DUI offender – that is, you have four or more DUI convictions – you might want to seek counseling. You may have an alcohol dependency issue. A lot of people do. 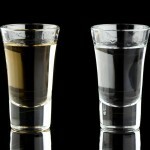 Alcohol is directly responsible for 2.5 million deaths each year. Nearly four percent of all deaths are related to alcohol. 6.2 percent of all male deaths are alcohol-related. 320,000 young people aged 15-29 die annually from alcohol-related causes. That figure represents nine percent of all deaths in that age group. Worldwide alcohol consumption in the year 2005 equaled 6.13 liters of pure alcohol for every person in the world age 15 or older. If you or someone you love has an alcohol dependency issue, help is available. Alcohol counseling and rehabilitation resources are available in abundance – from both the public and private sectors – in Orange County and throughout southern California. Don’t let money be a barrier – many counseling programs charge fees based only on your ability to pay. Help is also available for your legal problems if you’re charged with DUI now or in the future. Contact an experienced Orange County DUI lawyer immediately after any arrest for DUI in Orange County, and get all the help – legal and otherwise – that you need.